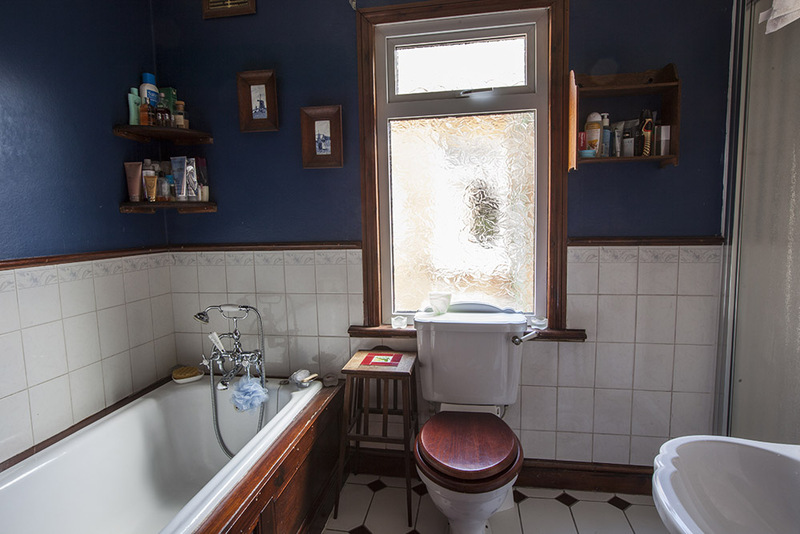 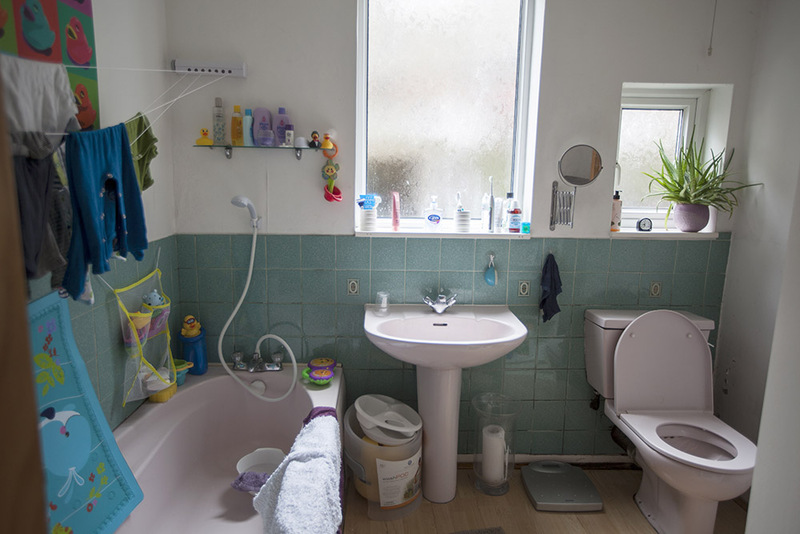 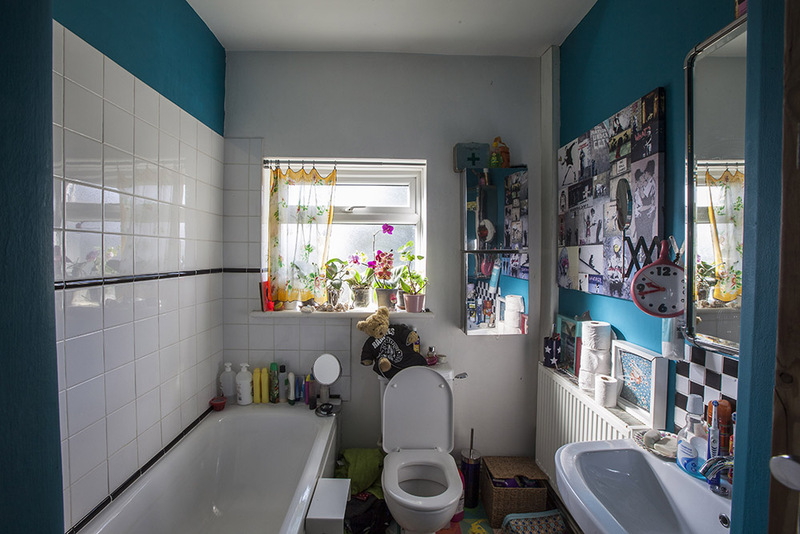 Bathrooms & Toilets | WE: the ex-Warner Estate in Waltham Forest. 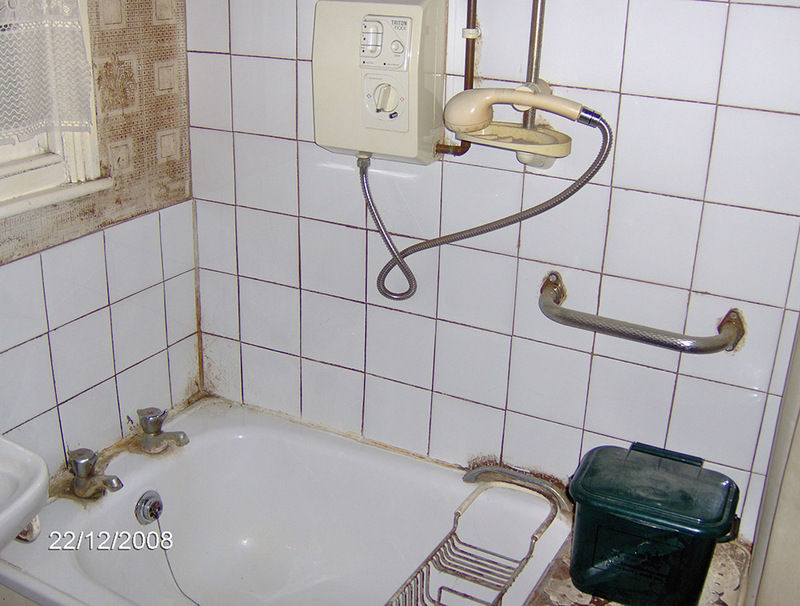 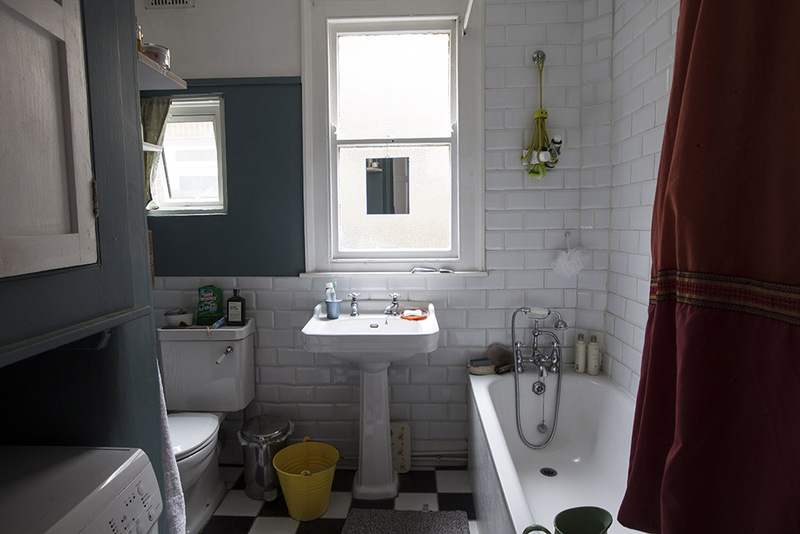 The majority of dwellings built prior to 1925 were not provided with bathrooms. 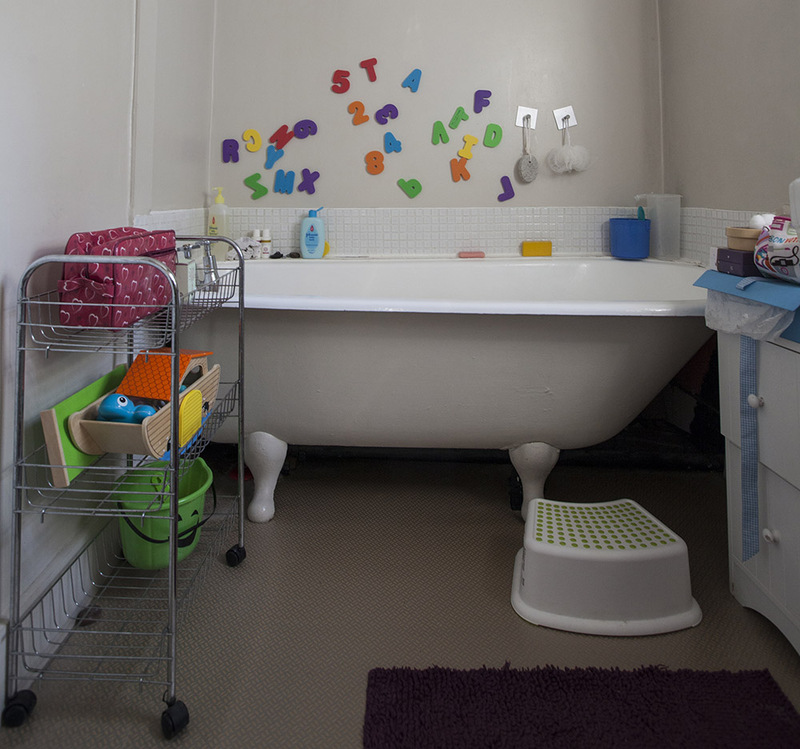 For the weekly bath a galvanised tin bath was brought in from the outside and filled with water heated in the copper or range. 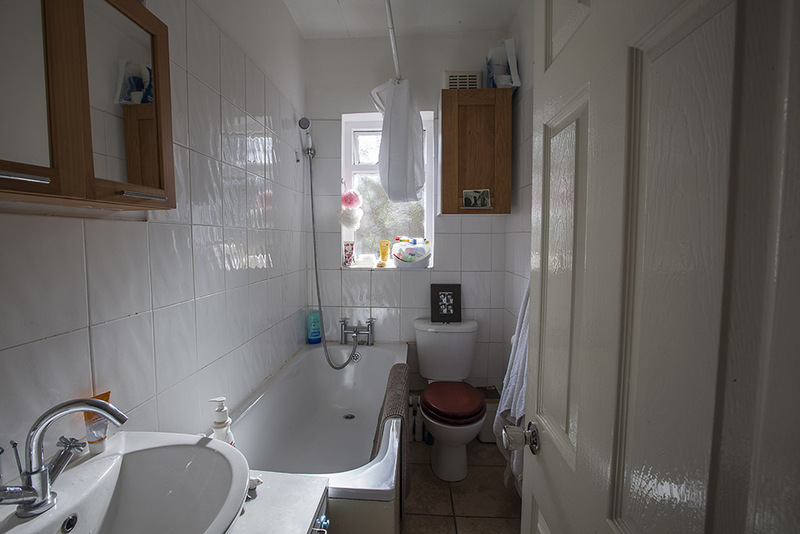 Toilets in two bedroom flats were located off the scullery or in a small separate room off the hallway. 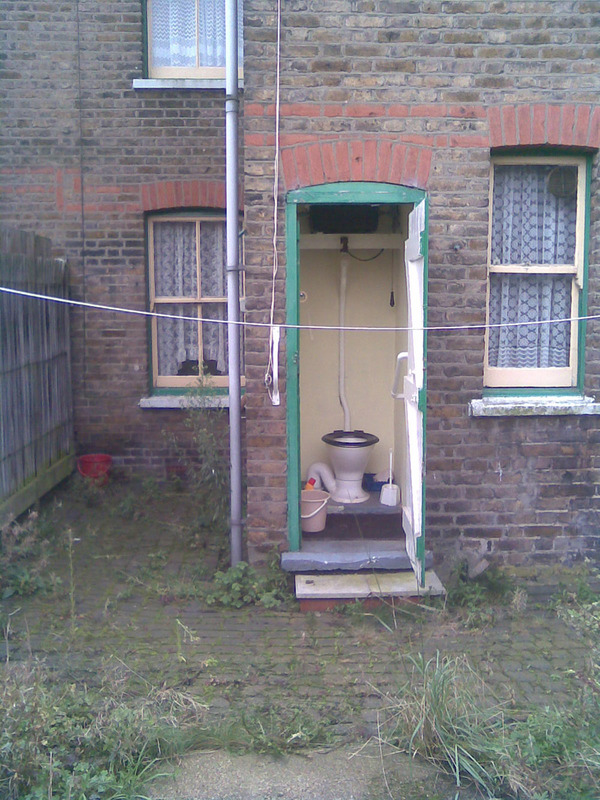 The toilet for one bedroom flats was shared between both ground and first floors and accessed from the outside, although joined to the lower flat rather than being at the bottom of the garden. 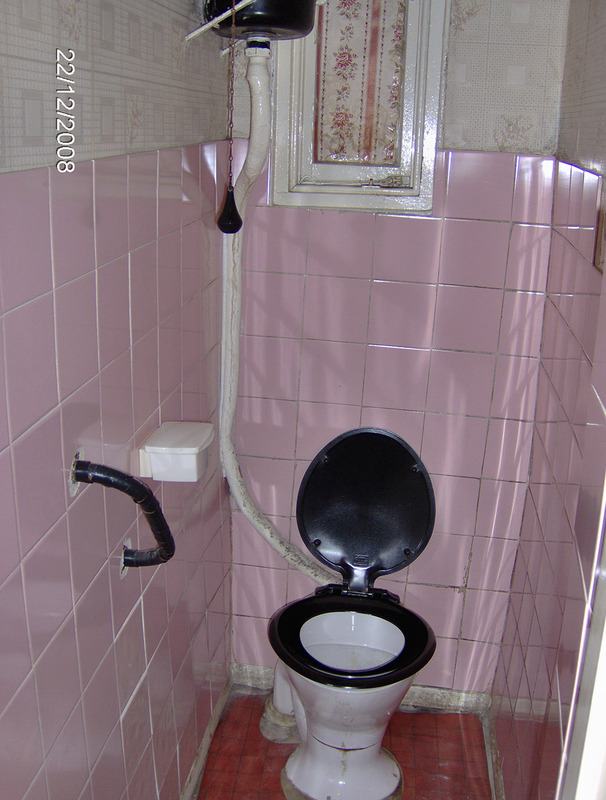 The cast iron cistern was set high up on the wall and plumbed with lead piping. 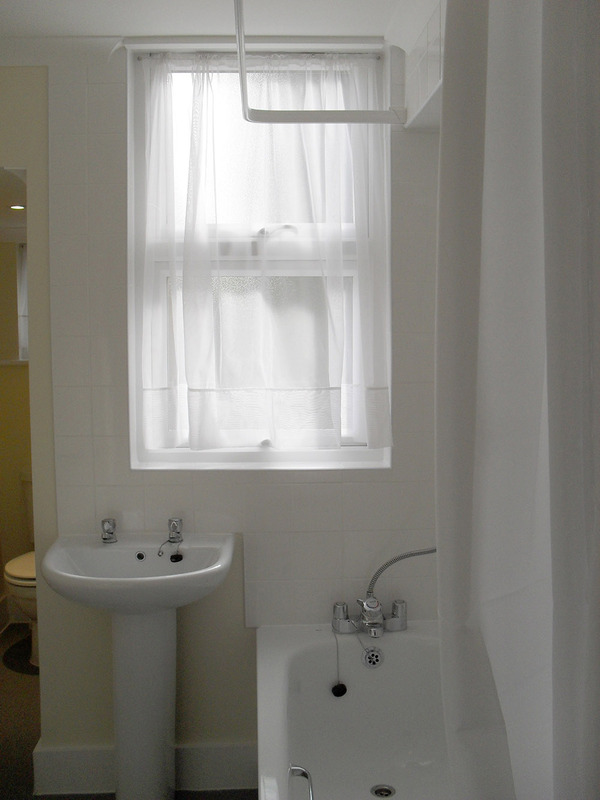 In the late 1930s baths and hot water systems were installed in the scullery of some two bedroom flats on the Winns Estate. 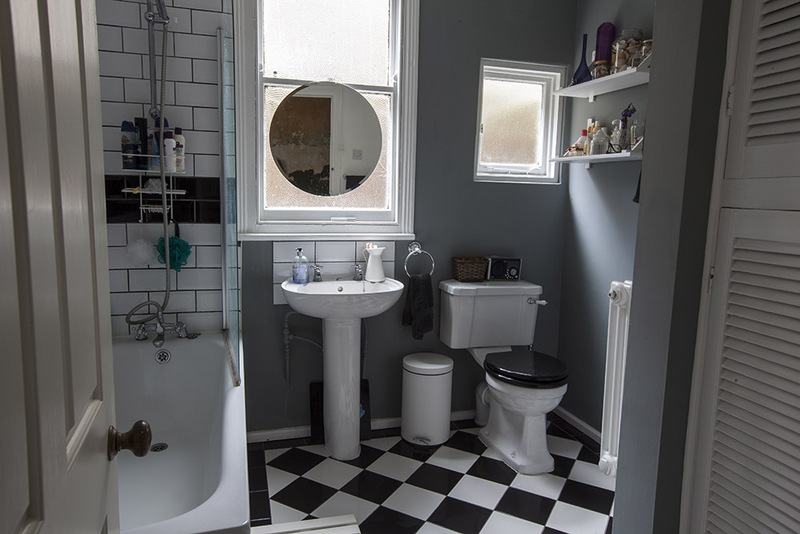 Coal cupboards were removed and the space taken up by baths (a hip bath for lower flats under the stairs and a five foot bath for upper flats over the stairs). 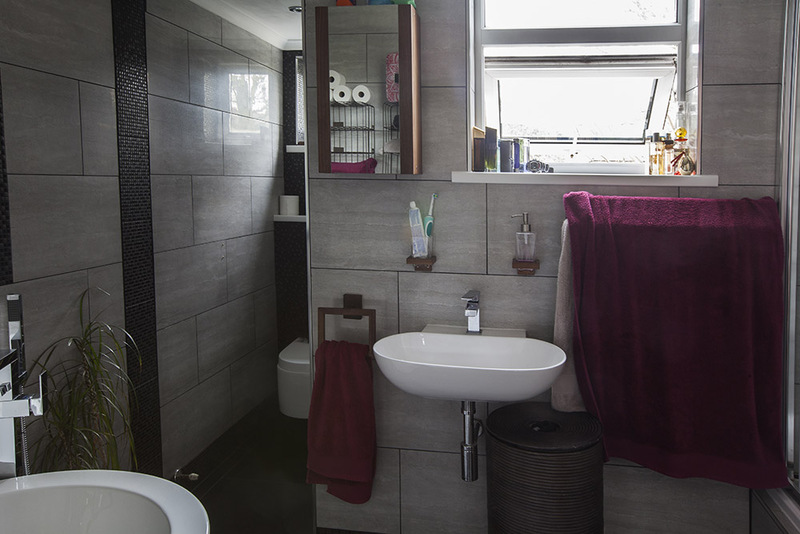 From the mid-1950s, sculleries in both one and two bedroom flats were fully converted to bathrooms with bath, hand basin, low level toilet and airing cupboard, provided the tenant was willing to pay the extra rent. 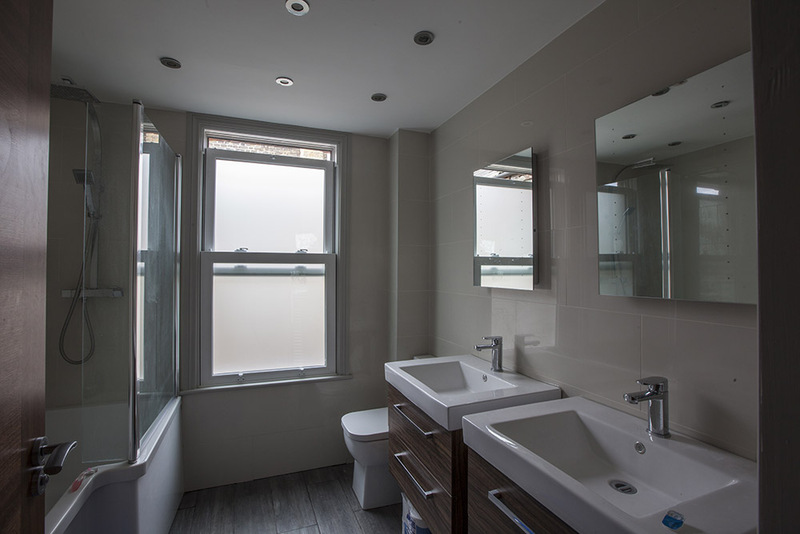 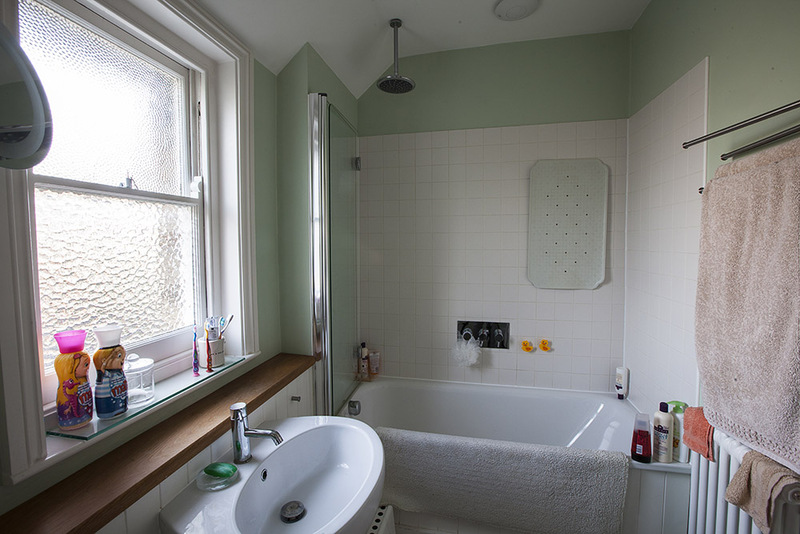 In one bedroom ground floor flats the outside toilet door was bricked up and a new doorway formed through the new bathroom, while the existing back door, originally off the sculler y, was replaced by a sash window. 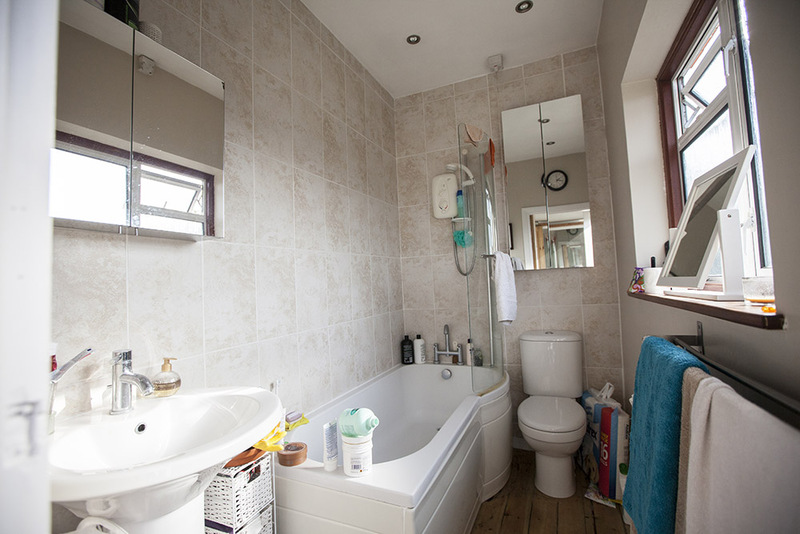 A hot water storage cylinder was installed in a cupboard in the corner of the bathroom in ground floor flats and in first floor flats in a separate area opposite the back stairs. 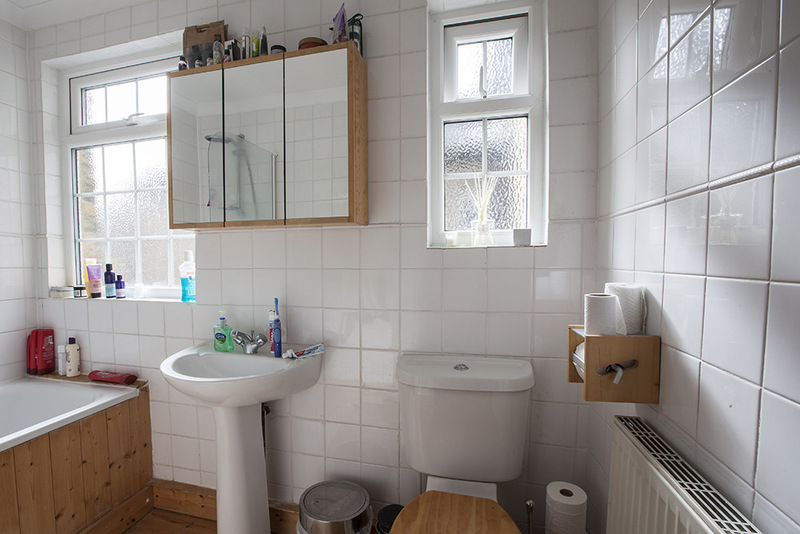 In older Town Planning Estate houses (built 1912-3), bathrooms were created by taking space from one of the bedrooms. 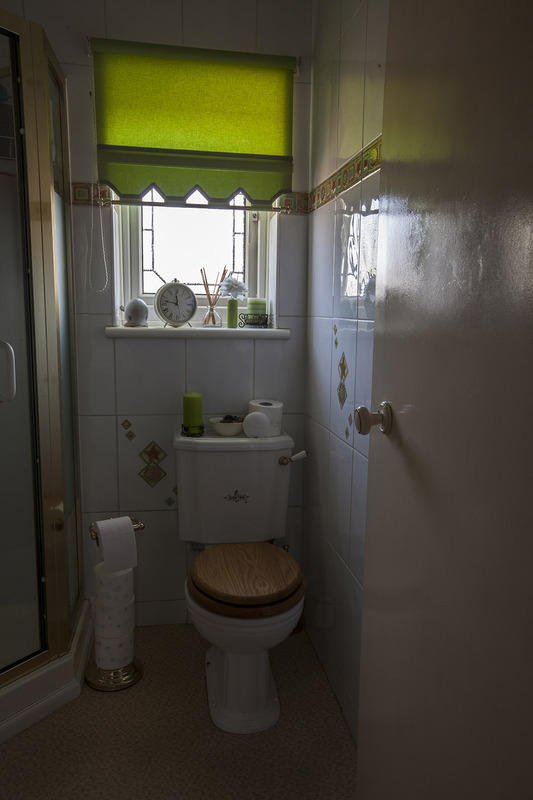 – green on the lower half and yellow on the upper half. 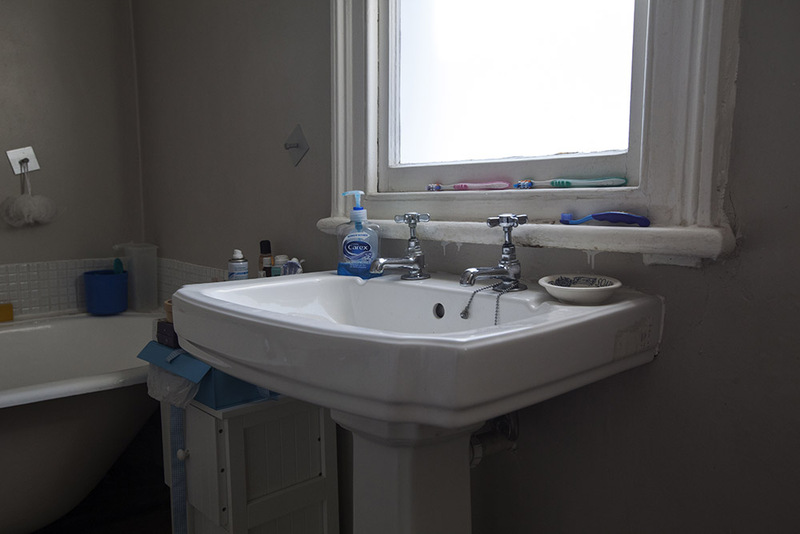 Sinks were fitted with a Bailey’s hot- water system, which automatically refilled the kitchen boiler as water was drawn off (one bedroom flats didn’t have the luxury of hot water until modernisation). 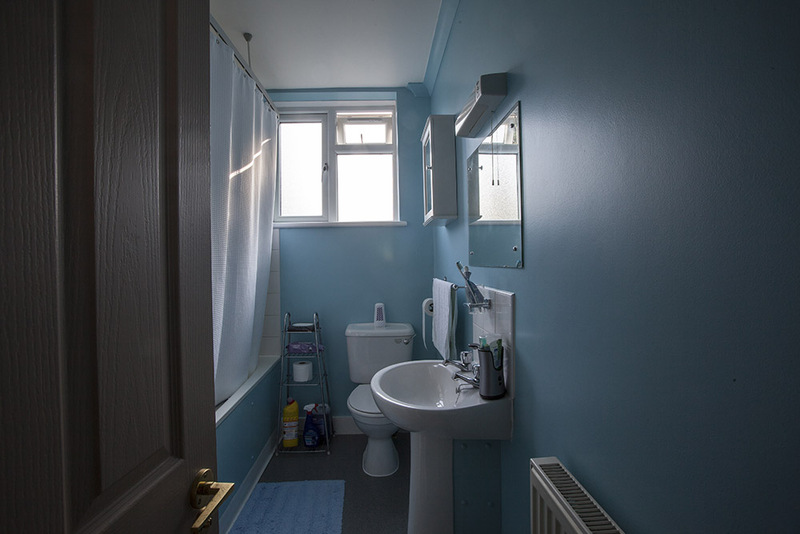 Once available within their budgets, many tenants installed a gas or electric cooker for use in summer when the warmth of the range in the kitchen was not required.